The goal of Wikiloc is to offer a platform where we can all share and discover the best outdoor trails from anywhere on the planet. 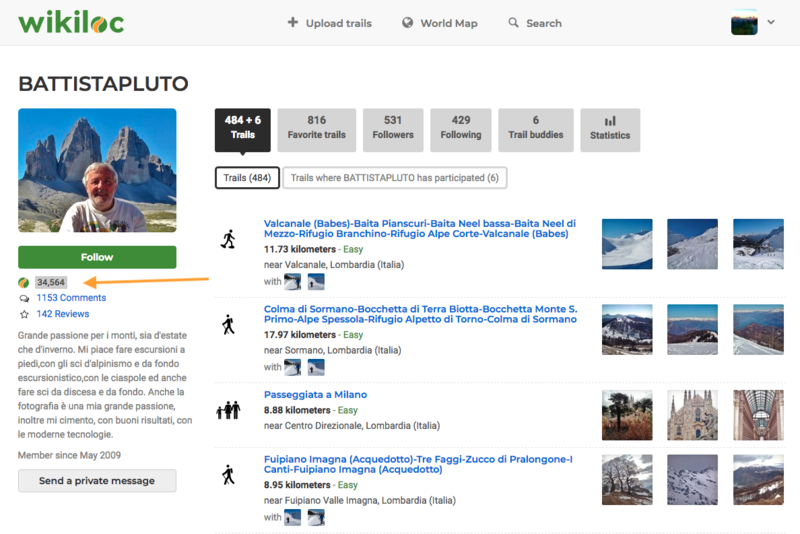 This has been possible thanks to millions of people from all over the world who have shared their best trails on Wikiloc. The UserRank is an acknowledgment of the contribution of each user to the community. You will be able to see it under the user profile, within its user page, and on the trail & user search listings. The most effective way to increase the UserRank is having a good profile and good trails . Participation in comments and ratings of other users' trails. Beware, the UserRank may also decrease! If you have repeated negative ratings in any of your trails or if someone marks your comments as negative. If you upload a trail with little content in a profile with good trails (the average decreases and affects the score). Go ahead and fill in your trails with good content, your UserRank will go back up and other users will thank you!